La Paulee de Meursault started back in the 1920s and now is a well established annual lunch event ending Les Trois Glorieuses including the Hospices de Beaune Auction & Clos de Vougeot formal dinner on the 3rd weekend of November where winemakers and guests bring choice bottles to share. Sommelier Daniel Johnnes alternates yearly a similarly focused La Paulee de New York & La Paulee de San Francisco (www.lapaulee.com). The Sous-Commanderie de Vancouver of Confrerie des Chevaliers du Tastevin hosted May 5-7, 2016 the Grand Conseil North America of over 200 members so well organized by Chairman Doug Loughran & Grand Senechal Vancouver Ritch Younger and their hard working committees. So many highlights including UBC Wine Library Tour and Lecture, Lunches, Dinners, 24 at home hosted dinners with the same choice wines including a 5 vintage vertical of Pommard Grand Epenots (97, 98, 99, 01, 02) from Michel Gaunoux, and of course La Paulee. 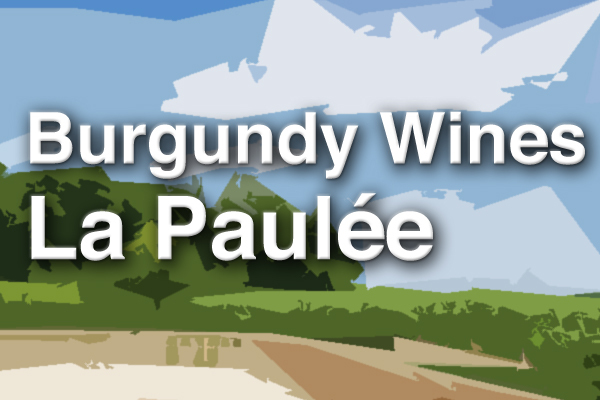 So many generous Tastevin members bringing a remarkable selection of top Burgundy to sample at this Paulee. Among the top whites I tried were a fresh young lemony austere magnum of 2013 Meursault Les Narvaux from Pierre-Yves Colin-Morey, full forwardly 2009 Chevalier-Montrachet Demoiselles Louis Latour, a complex rich 2006 Chablis Valmur Grand Cru from Raveneau, a surprisingly vibrant mineral loaded 2001 Meursault-Perrieres Domaine Lafon, and a superbly maturing hazelnut 1999 Bienvenues-Batard-Montrachet from Domaine Leflaive. Reds were a diverse lot with prime interest for me in an excellent 2005 Savigny-Les-Beaune Les Peuillets Pavelot (almost that similar aged vines depth of La Dominode) much better than lighter 2005 Les Guettes bottle, more classy 2005 Clos de la Roche Nicolas Potel, surprising big fruit of 2002 Mazis-Chambertin Hospices de Beaune Cuvee Madeleine Collignon Bouchard Pere, and mature gamey 1985 Latricieres-Chambertin Louis Trapet. What a tasting opportunity! 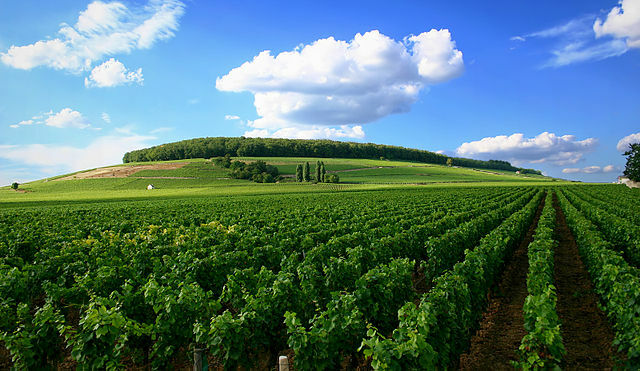 -Extensive comparison of 2006 & 2007 white Burgundies from different terroirs Corton Charlemagne, Batard, Chevalier, Montrachet and producers like Bouchard Pere, Remoissenet, and Lucien Le Moine generally favoured the fresher more vibrant 2007 vintage (and 2008) over the sometimes pre-moxed 2006s. -Various vintages of Musigny Comte de Vogue showed early promising 1990 somewhat bottle variable while 1991 is on a splendid elegant consistent plateau now and 1988 with still higher acidity and tannins. -Older Red Burgundy out of often hard to find Grand Format sizes can be delightfully fresh – magnums & jeroboams of Clos Vougeot Remossenet 1962 & 1964. -Both white & red Burgundy does not always develop in a linear progression and there are always surprise bottles to experience. Recommend you plan your own BYOB Paulee! 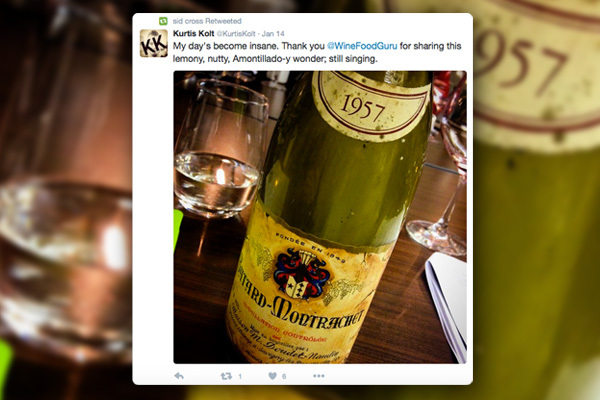 Have you ever attended a La Paulée de Meursault lunch?